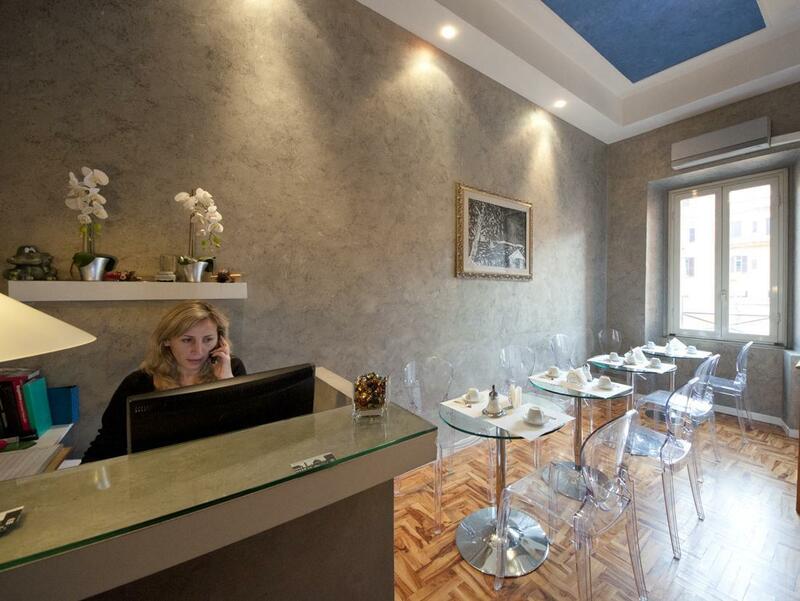 ﻿ Relais Conte Di Cavour De Luxe Rome. JIMAT di Agoda.com! Ada soalan mengenai Relais Conte Di Cavour De Luxe? Dengan lokasi mudah di Rome, Relais Conte Di Cavour De Luxe Bed & Breakfast adalah tempat yang hebat untuk menjelajahi bandar yang menarik ini. Dari sini, tetamu boleh menikmati akses mudah kepada semua yang bandar meriah ini boleh tawarkan. Bagi anda yang ingin pergi agak jauh, Santa Pudenziana, Basilika Santa Maria Maggiore, Basilika Paus Saint Mary Maj merupakan beberapa daya tarikan untuk pelawat. Di Relais Conte Di Cavour De Luxe Bed & Breakfast, segala usaha dilakukan untuk membuatkan tetamu berasa selesa. Oleh yang demikian, hotel ini menyediakan perkhidmatan dan kemudahan yang terbaik. Hotel ini menawarkan pelbagai kemudahan di lokasi untuk memuaskan hati tetamu termasuk yang arif. Suasana Relais Conte Di Cavour De Luxe Bed & Breakfast terpancar di dalam setiap bilik tetamu. akses internet (wayarles), internet tanpa wayar (percuma), bilik tidak merokok, pendingin hawa, pemanas hanyalah sebahagian daripada kemudahan yang boleh didapati di hotel tersebut. Di samping itu, pihak hotel menawarkan aktiviti rekreasi untuk memastikan anda mempunyai perkara untuk dilakukan sepanjang penginapan anda. Relais Conte Di Cavour De Luxe Bed & Breakfast merupakan tempat yang ideal bagi penginapan pelancong yang mencari keindahan, keselesaan dan kemudahan di Rome. Please note that all guest bookings with the period of stay from 1 January 2011 onwards must pay a city tax of 2 Euro per person per night directly to the hotel during the check-out for a maximum of 10 consecutive nights. Please be kindly informed that this is an additional charge and is not included in the room fee. Please note that the hotel does not have 24 hours reception; therefore guests are kindly requested to inform the property in advance of their estimated time of arrival. This can be noted in the Special Request Box during booking. Reception is open between 8.00 am and 4.00 pm. Please note that baby cots are available with additional cost. This is coming late but I hope Tony & his staff do not mind. We stayed for three days in this place. You could not ask for better. First, Very near the Roma station, metro and bus station. Nice eating outlets around. The apartment itself is well furnished and very clean. Coffee is free and breakfast- if you want to- is not expensive. They are very obliging. More than anything else, everyone was not just courteous but very helpful and made us feel welcome and made our stay enjoyable. Thank you very much. Stayed here for 2 nights and was really pleased overall. The location of the apartment was superb. Many good restaurants and cafes around. The nearest metro is also just a stone's throw away. Walking distance to Colosseum. The room was clean and everything worked well. The bathroom was great too. The best thing of this stay was the host. Consuelo was super! When we checked in, she took the time to give us some really useful tips on Rome. She also recommended great restaurants and cafes around Rome. She even surprised us with a bottle of champagne as it was my birthday. Consuelo was extremely helpful and thoughtful. Highly recommended! I didnt like the late arrival policy, is cheating, after you pay on agora the hotel send u the late arrival policy, is expensive and also arriving by your self walking from termini train station it will be impossible, the place is not properly signaled. They force u to take their own transportation service from the airport to the hotel, for a late arrival is a must otherwise nobody will be there to receive you. I think for the price I pay I will be able to find a better option on the same area.